New Diorama Theatre is a versatile theatre space which can be tailored to suit a variety of different events. With a range of seating configurations on offer and with a maximum capacity of 80, the New Diorama team are here to tailor our space to meet your needs. Previously we have hosted successful product launches, seminars, conferences, training sessions, film screenings, book launches and even welcomed government ministers for major policy events. 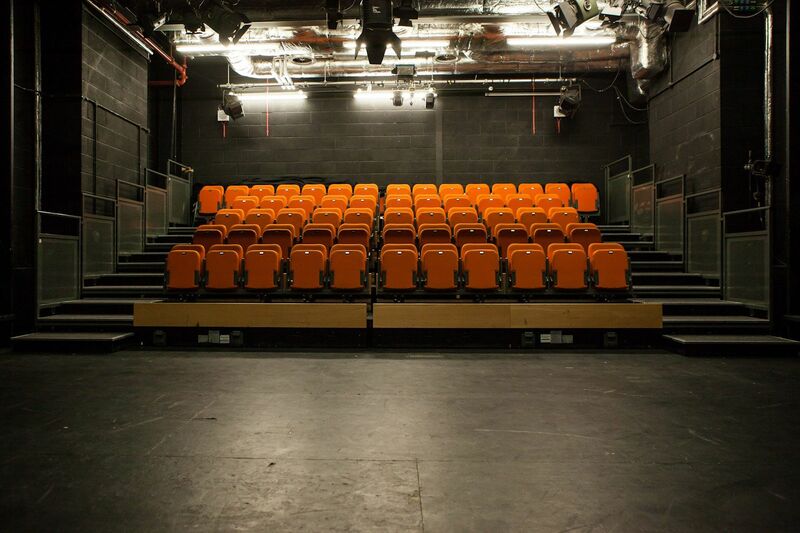 The theatre space comes equipped with raked seating, a projector, screen and theatre-style lighting, all of which give every event a professional feel and great atmosphere. Our comfortable raked seating is fully retractable, providing a perfect break-out space for team-building exercises, rehearsals and workshops. For programming enquiries please look at our artist support page. 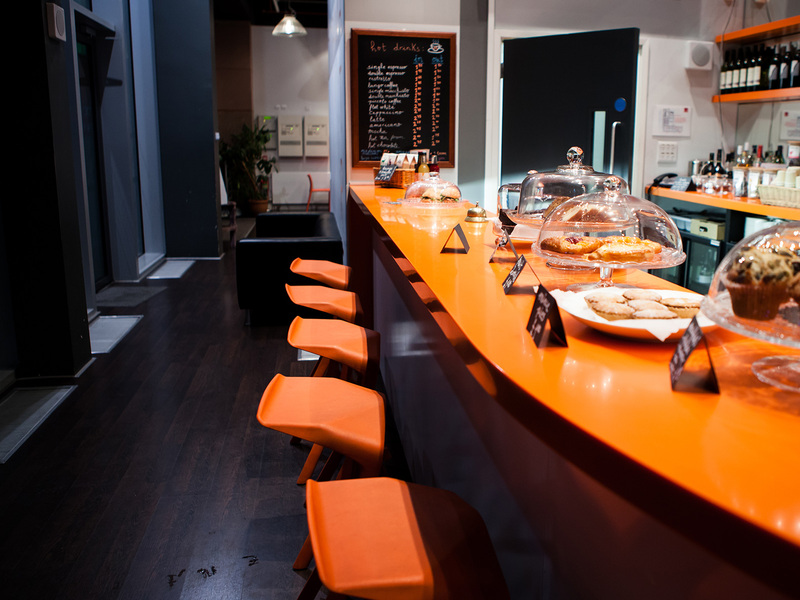 Our stylish and friendly in-house cafe, the ND Cafe & Bar, can cater for a broad range of refreshments, drinks and lunches. When you hire the theatre, the theatre team will put you directly in contact with the Cafe team to discuss individual requirements in detail. 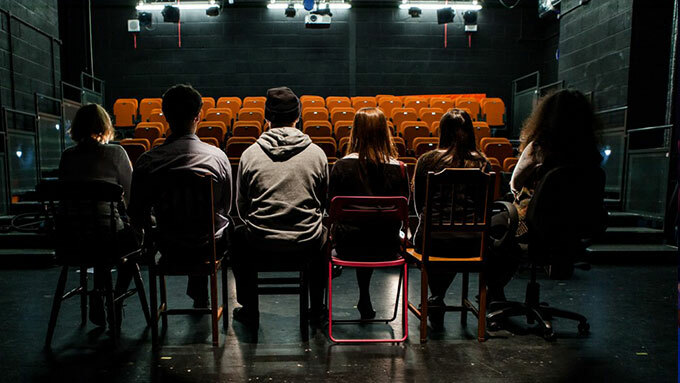 If you are interested in hiring New Diorama, or for further information on hires and events, please contact us using our Venue Hire Contact Form or email helen@newdiorama.com. Alternatively, you can call Helen directly on 0207 383 9036. For information about our technical provisions, please click here. New Diorama Theatre has a spacious stage space of 8m x 6.5m with a very high ceiling above the performance space, while still maintaining an intimate atmosphere. The theatre can seat up to 100 people for private presentations or up to 80 people for public performances. 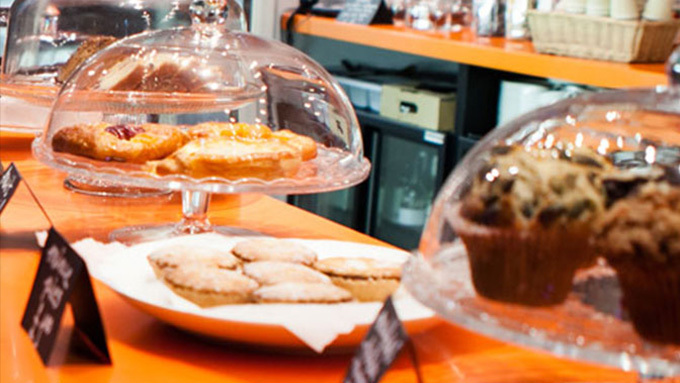 Our adjoining cafe space is great for many types of business and private events.